The Penman Collection Luca fireplace suite consists of 1 x 54" Luca Agean limestone surround, 1 x slabbed granite back panel, 1 x 54" x 15" slabbed granite hearth, optional Apollo glass fronted gas fire. 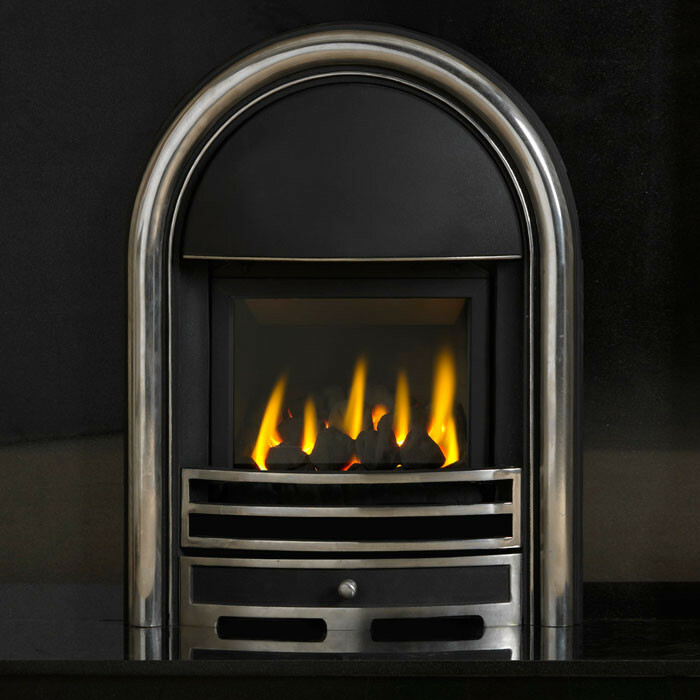 The Luca adds a touch of grandeur and contemporary styling with the addition of a curved header section. Agean limestone is a natural stone cut straight from the earth. The stone is a sedimentary limestone with characteristic darker veins and lighter background, intermingled with fossils and blooms. 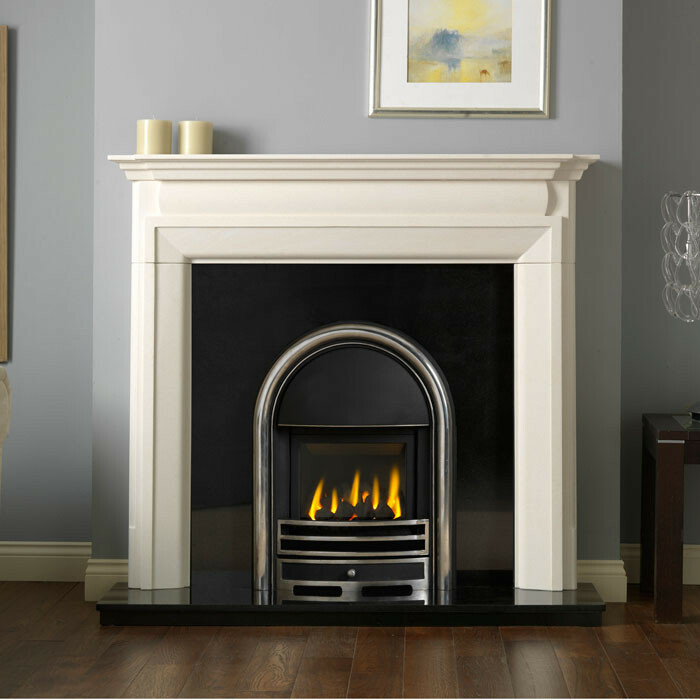 The Velletri limestone suite is pre-sealed and manufactured from 100% natural material.